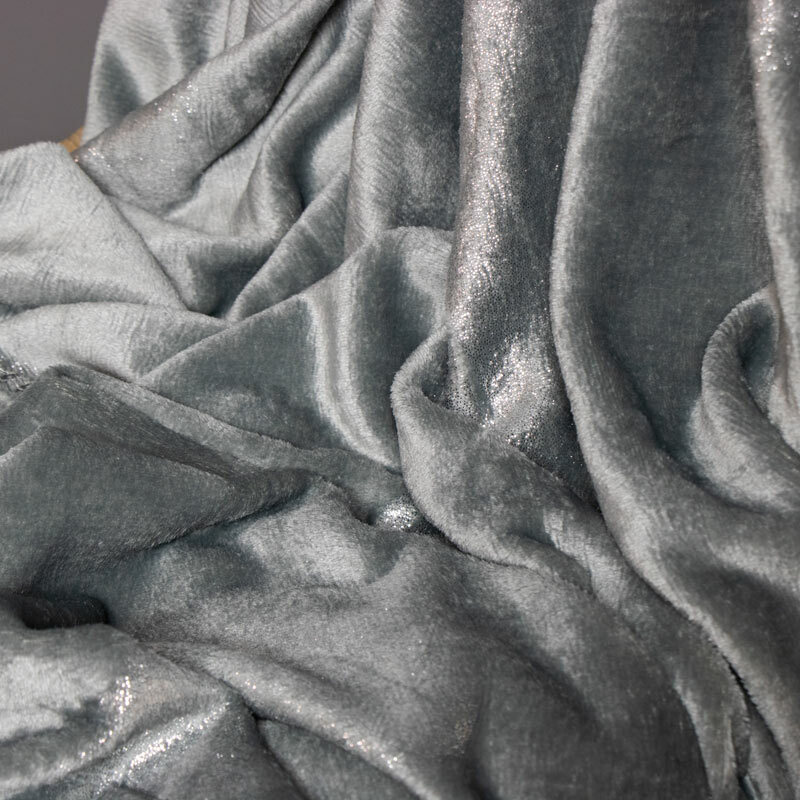 This gorgeous grey blanket is both pretty and large. 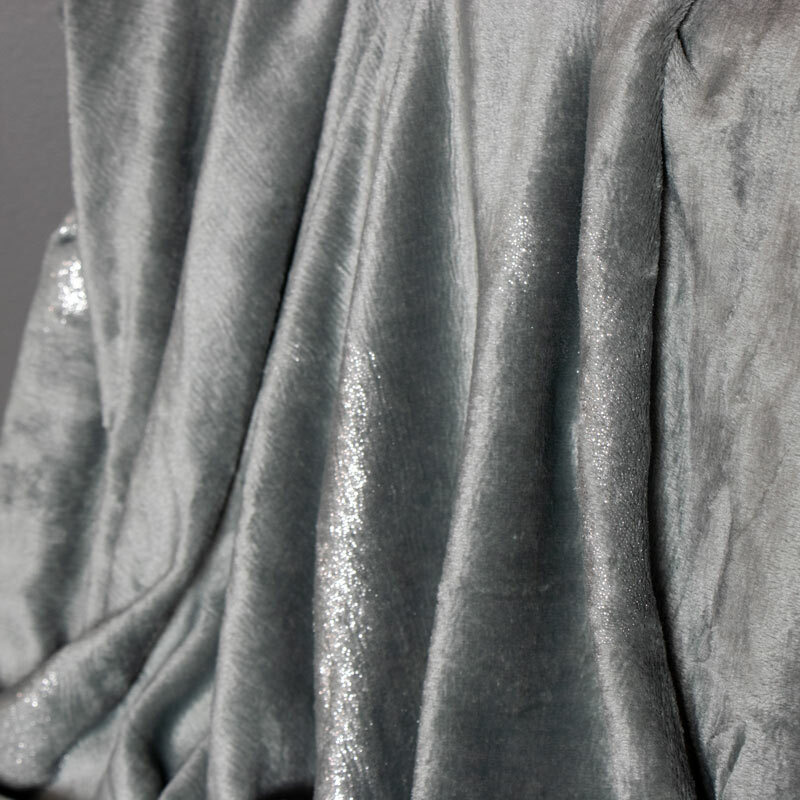 Perfect for draping over the sofa in the living room or cuddling up on the bed. A throw that would suit any interior from modern to a more vintage with its stylish sparkly leaf pattern. The subtle sparkly from the leafs add a touch of glamour and elegance making it look the part in that stylish bedroom. This gorgeous grey blanket is both pretty and large. Perfect for draping over the sofa in the living room or cuddling up on the bed. A throw that would suit any interior from modern to a more vintage with its stylish sparkly leaf pattern. The subtle sparkly from the leafs add a touch of glamour and elegance making it look the part in that stylish bedroom. The blanket measures 130cm x 170cm. A Perfect size for wrapping your self up nice and snug. 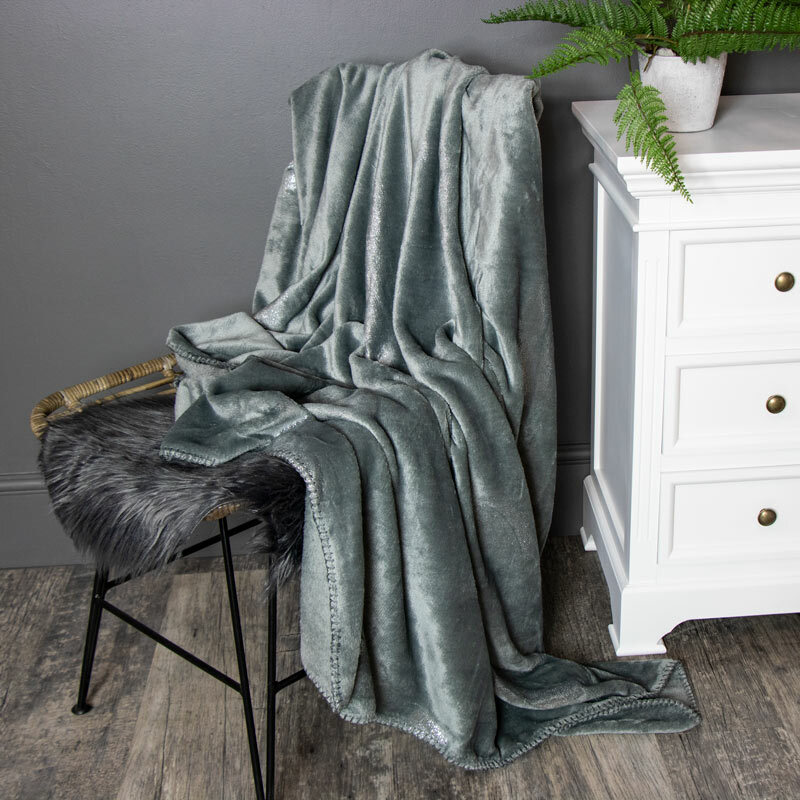 Blanket and throws are perfect for finishing off your room and interior which is why we have a nice selection available. Be sure to check out all that we have available.